Swiss Rolls, Zebra Cakes, and Fudge Rounds= a quick trip to simpler times. I use to love Little Debbie's. I can no longer eat them. Seems they are made today with the absolute lowest quality ingrediants. Just like today's Hostess products, lowest quality processed ingredients with lots of preservatives so they can sit on the shelf for weeks or months. Occasionally I have a Little Debbie Honey Bun with coffee. Has anyone else noticed they are considerably smaller? They seem to be shorter in diameter and thinner than the ones Ms Molecule bought in the past. Each bun now weighs 1.7 ounces. It seems in the past they weighed at least 2.5 ounces each and were larger in diameter and thicker. It's called shrink-flation where they shrink what you get but keep the price the same. It drives me nuts. Cereal is the worst offender for this. (Although I'm not eating that any longer). Then economists have the nerve to turn around and say that inflation is only 2% based on consumer costs meanwhile they shrunk the back end of what you get for those costs. It's a scam. Your honey-bun just needs some high-mileage spread to help swell it back to size. Last edited by StevieC; 02/03/19 11:30 AM. It's called shrink-flation where they shrink what you get but keep the price the same. It drives me nuts. Cereal is the worst offender for this. It may also have to do with grain prices. Warstud, I wish they would just increase the price and leave the portion alone. Things go up in price because of inflation but they should stop playing games with what they give you trying to appease the consumer price pain point. People will and do figure out they are being cheated and will stop purchasing or switch brands just the same so why risk the bad P.R. and upsetting the customer? Just like Tropicana OJ is now 52 ounces.... not 64 ounces but the price remained the same. There would have already been meaningful backlash if it were going to happen. 4 lb bags of sugar or 1.5 qt ice cream containers are pretty standard now. Some brands haven't changed and they tend to advertise the fact. Duke's mayo and Blue Bell ice cream being examples off the top of my head. Last edited by hatt; 02/03/19 04:55 PM. I think it's peoples apathy. Another term for removing food and keeping the same price is a weight out. A key reason why they do this is people only want to spend so much per grocery store trip. If the costs go up, they are less likely to buy it. Not everyone is like this but in general processed food is typically bought by poorer people or with large families and have a huge grocery bill to begin with (in relative terms). I've heard it referred to as "Price size optimization", as if they are doing consumers a favour. "Honey buns so sticky icky on my sweet ooey gooey . I love these honey buns. Individually 50 cents so my sweet tooth is happy when I'm broke. Only problem and reason for four stars is personal. Hurts my cavities. May have gotten cavities from these. Also people tell me that honey buns are the bee's knees in jail." 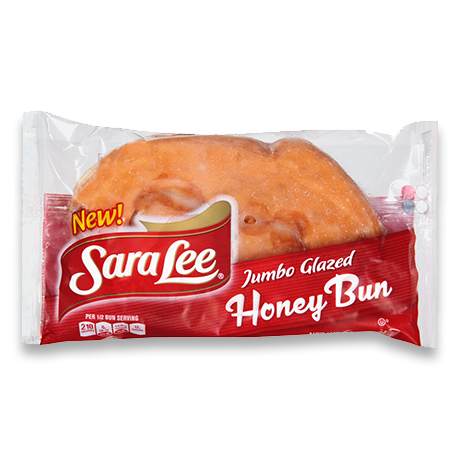 Nobody Doesnt Like Sara Lee.. (never understood the double negative)..
You simply misheard the jingle. "Nobody does it like Sara Lee"